Looking for the perfect place to live? 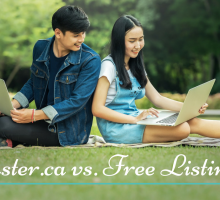 Trying to find a neighborhood that suits your lifestyle and needs for a rental? Look no further than Vancouver, Canada! According to Mercer’s 19th annual Quality of Living ranking, Vancouver is the 5th best place to live in the world. Whether you seek a rental that is close in proximity to your work, or are looking to live in a neighborhood where there is a strong sense of community. All Vancouver neighborhoods have a different style to match the rental you desire. Yaletown is a higher end downtown neighborhood, whereas Kistilano is a trendy neighborhood close to the water. Depending on your preferences for lifestyle and location, the rental rate can change dramatically. The average rate of rental listings in Vancouver is currently $1,863 with a minimum price of $1,050. But exactly where in Vancouver is the best place to live? 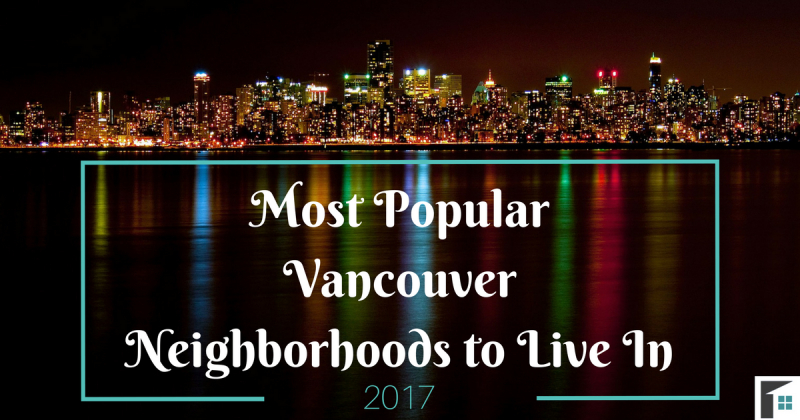 Here are the 8 most popular Vancouver neighborhoods to live in, which are worth taking a look at! The West End of Vancouver (located on the west side of downtown) is a wonderful and diverse neighborhood to live in. Due to its affordability and the surrounding area, this neighborhood is very popular. Currently, the average rental price in West End is $1, 869. The West End contains the popular Stanley Park and is in close proximity to the ocean. In addition to the quick downtown commute, these features make it an attractive place for entrepreneurs and business-minded individuals. If you seek Vancouver neighborhoods situated close to the office while staying within the energy of the people, this is the one for you! Although Yaletown may be the best place to live in terms of location, it is one of the more expensive and already occupied Vancouver neighborhoods. The desire to be accessible to the downtown businesses and to the busy culture in the core, is in high demand. The area is bursting with higher-end restaurants and stores, as well as has access to the marina for those who own boats. Yaletown is definitely one of the trendiest neighborhoods to live in, but will cost you a pretty penny to live there. Currently, there is only one rental available on Rentfaster.ca going for a total of $4,950. The lack of rentals and high price shows the extreme demand of the area. According to Vancouver Magazine, Killarney is an area that still has the opportunity to find a home for families. Vancouver is exploding with people, making it hard to find a starter home for many people. Nevertheless, this neighborhood, with a population of 28, 455, is reported to be one of the last places without outrageous prices. The area has multi-family homes as well as high-rises along the Fraser River. This Vancouver neighborhood contains green spaces, walking trails, and access to schools, making it highly desirable. Within the neighborhood there is Champlain Heights, which includes stores and amenities easily accessible for those living in the community. This neighborhood is ideal for young families looking to stay integrated in the Vancouver culture, and is an ideal space to start up! Located conveniently close to Kits Beach (one of the best city beaches in the world according to a number of international travel magazines), Kistilano is a popular area to live. Compared to other Vancouver neighborhoods, Kistilano has a mix of outdoor recreation opportunities as well as a focus on organic foods and healthy living. Locations closer to the beach are more expensive. But the further away and the closer to the University of British Columbia you go, the prices begin to decrease. Rent prices will vary dependent on the precise area you choose to situate yourself. Currently the one listing available on Rentfaster.ca in Kistilano is $1,395. Fairview is a popular area filled with a number of tourist attractions that draw attention to the neighborhood. In particular, this Vancouver neighborhood has Granville Island. Granville Island is a small island located in the middle of the city. Described as an urban oasis, this attraction contains plenty of restaurants, stores, cafes, and other small businesses. The exciting atmosphere of this neighborhood makes it an attractive one to live in for those looking to socialize and engage. The average listing for a rental in this area is $1, 924.The area continues to expand as it becomes more popular and the number of listings is slowly increasing. The Kerrisdale neighborhood is an area filled mainly with residents who have been there for many years. The area is a great option for retired individuals or those looking for a slower pace of life. The neighborhood is often recognized for its popular Kerrisdale Village (also known as “The Village”). Kerrisdale Village is a shopping area located in the center of Kerrisdale that contains some of Vancouver’s best shops. The Kerrisdale neighborhood is more affordable compared to downtown Vancouver neighborhoods, making it an appealing neighborhood to gravitate to. As well, Kerrisdale is a quick 25-30 minute commute downtown, beneficial for those in business. Many will know Riley Park because of the Olympic Centre and Nat Bailey Stadium that reside within it. This thriving area is home to various types of shops and food venues to keep anyone engaged and entertained. Of course, Riley Park consists of more than the greenspace and the attractions that make it well known. Riley Park has numerous communities that span from 16th to 41st street. To own a home in this area, the price can be as high as $1 million, whereas renting is more reasonable. According to Vancouver Courier, rental costs in Riley Park can be around $1,490. Riley Park neighborhood is one that will keep you interacting with the people and the area. Close to the international airport in Richmond, the Marpole neighborhood is a bustle of activity. Being the main gateway to the airport results in higher traffic, but aside from the busy street, it is a great neighborhood to consider. Marpole has a number of residential areas that are family-oriented. The availability of night life is less than that of busier neighborhoods, but instead the area has more substantial yards and homes. If you want to rent a place that has a higher number of rooms, this is just the neighborhood for you! Rental is said to be affordable with condos, but with larger homes, there is an increase in price. This neighborhood has good things coming on the horizon. Out of the many Vancouver neighborhoods, the City of Vancouver came out with a community plan that will begin to increase and enhance Marpole over the next 30 years. Being one of the northern Vancouver neighborhoods, Lynn Valley is a popular area for those looking to be away from the busyness. Due to its distance from the downtown center, the area allows for more residential areas. Vancouver Magazine rated Lynn Valley as the 3rd best place to live in Vancouver. The reason for the high rating is because of the enormous beautiful greenspace the neighborhood has access to, as well as the high-quality schools. For those looking to settle down with a family in Vancouver, this is a more affordable location than those closer to the core. According to the District of North Vancouver, the central hub of the neighborhood is gaining momentum and will be undergoing some large transformations. Be sure to check out this neighborhood soon, as its popularity will only increase! The University of British Columbia (UBC) has become one of the popular Vancouver neighborhoods to live in. The school itself is an attractive feature to draw students and teachers to the area. Over the years, the area has become an increasingly popular place to call home. Located on the west of Vancouver, there has been an increase of residential buildings, services, and other shops built. The area is expanding rapidly and will continue to do so once the UBC subway extension is completed. The subway extension will help those living in this neighborhood easily access central Vancouver. This will be an attractive feature for those looking to live in the neighborhood but need to commute downtown! The area is affordable and accessible, making it a neighborhood worth considering! Depending on your lifestyle, there will always be these diverse Vancouver neighborhoods to meet your needs. 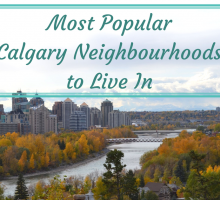 Choose from these top 8 neighborhoods to live in and you can guarantee to find everything you are looking for in a rental. Head over to Vancouver for the ultimate living experience!